It’s A Matter of Looking for the Most Reliable and Affordable Pool Service Compan - Fort Lauderdale Pool Service – Fall in Love with your pool again! To keep a swimming pool in perfect condition all the time, maintaining and cleaning it should be done using the team effort. In order to do this we at AQUABUDDY have hired several technicians each with their own area of specialization to ensure that you get the desired results. One expert handles the equipment repair and clean up. Another does the structural repair such as tile replacement, leak patching and more. Still others are to see to it that the water is clean and the pH is balanced and is well maintained. Often our more experienced r pool specialists will perform several tasks together. 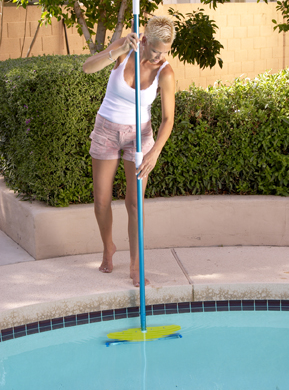 They can help repair pool equipment and the same time help in maintaining cleanliness of the pool water. We always maintain a division of labor among our pool experts. Our several years of experience in pool servicing have shown us that this technique renders more benefits to your pool. If in case you are buying a house with a swimming pool, or a first time pool owner, we can explain to you whatever you want to know about your pool. One thing for sure, it will require regular clean up. There are chores that you can do and there are also those that require professional touch. Pools are constructed without any protection. Installing a pool cover will help but only up to a certain extent. The best protected pools are those built indoors. For outdoor pools you have to contend with leaves, twigs, and even occasional beer bottles. If you’re interested, you can avail of our weekly, twice a week or a once a month cleaning schedules. Choose the one which fits your pool’s requirement best. Other services include chlorine shock, acid wash, and equipment clean up and repair, closing and opening your pools and more. AQUABUDDY, has been providing Weston pool owners the best cleaning and maintenance options for so many years now. For every problem that arises, we have always a ready and very effective solution at hand. Does your pool manifest a murky, cloudy or grayish water? Call us immediately. The earlier we deal with it the less the expense you incur. Delays may require draining the water completely and fill it in with fresh supply. This is expensive. We believe in the saying, an ounce of prevention is better than a pound of cure. Just call us or send us an email and we’ll be right over where you are. If you’re looking for the #1 Weston pool service company, there’s only one alternative and that’s us, AQUABUDDY. We guaranty your full satisfaction.